Villa Gorilla is located in Stockholm, Sweden and was founded in 2013 by industry veterans Jens Andersson and Mattias Snygg. Our goal is to create small and unique games with a focus on innovative game design and beautiful execution. Villa Gorilla consists of Jens Andersson, Mattias Snygg and Linus Larsson. 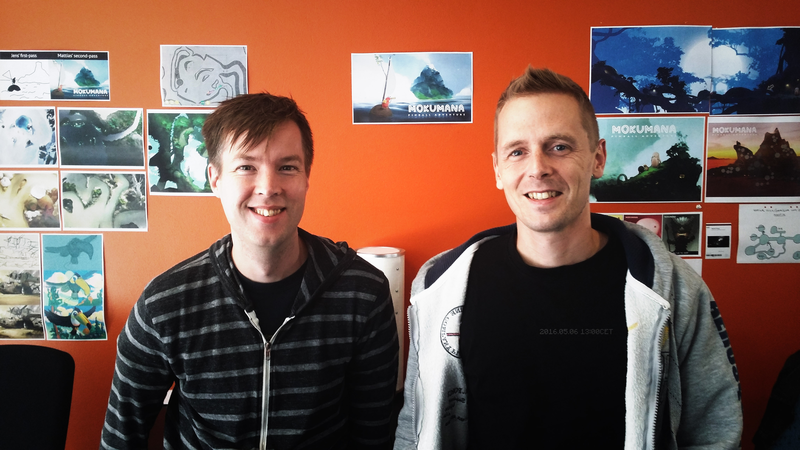 Jens and Mattias used to work together at Starbreeze on titles like The Darkness. They founded Villa Gorilla in 2013 as an indie label, Linus joined up in 2014. Jens is the founder of Collecting Smiles. His latest achievement is the development and release of Colors! 3D, a painting game/app for Nintendo 3DS. Colors! 3D was awarded Metacritic’s Nintendo 3DS Game of the Year 2012 and was topping the charts on Nintendo 3DS eShop. Jens has also worked as Lead Designer at LucasArts in San Fracisco, USA in 2009-2010 and up to 2007 he was a creative lead and one of the original members of Starbreeze in Uppsala, Sweden. One of the more notable achievements at Starbreeze was being Lead Game Designer and Lead Game Programmer at Chronicles of Riddick: Escape from Butcher Bay, which received numerous awards and critical acclaim worldwide. Jens’s primary role is programming and game design. Mattias is a creative professional with a background in fine art. He has worked as illustrator, art director, and narrative director on AAA video games at video game developer Starbreeze, on titles such as The Darkness and The Chronicles of Riddick: Assault of Dark Athena. Mattias Snygg has now taken a break from AAA video games and alongside his work with Yoku's Island Express, he is now a freelancer and has created work for various projects, books, and films. Clients include Electronic Arts, Hansoft, Filmlance International, Fido Film, Cryptozonic Entertainment, White Wolf Publishing, Fantasy Flight Games, Future Publishing, National Geographic and Wizards of the Coast. Mattias’ primary role is art direction and game design. Linus joined Villa Gorilla as a full time member of the studio in 2014. Prior to villa Gorilla, he was the lead designer of party brawler Ruckus Rumble, released on PlayStation 4. A small project released via the PlayStation First initiative. 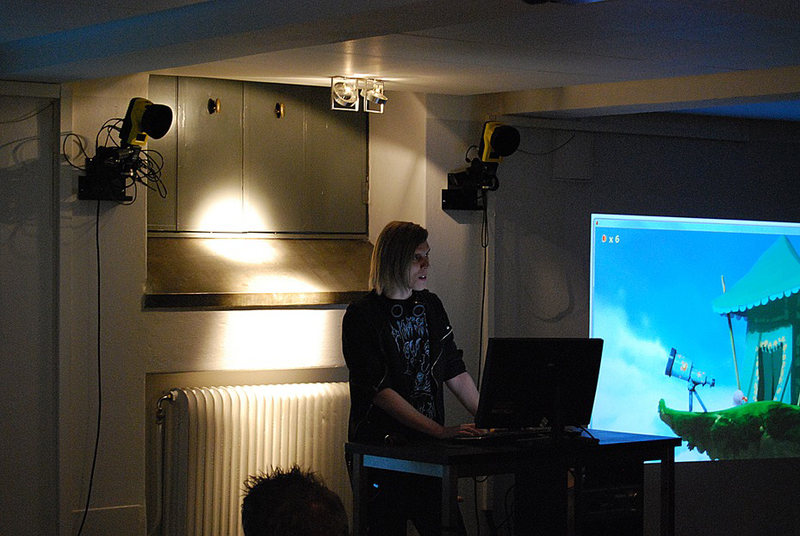 Linus’ primary role is level design, writing and game design. 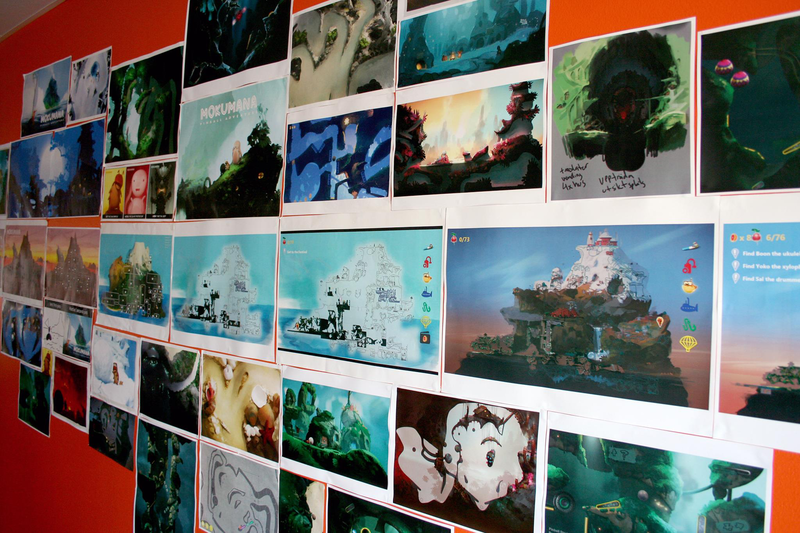 The Studio is currently working on it's first title, Yoku's Island Express - An Open World Pinball adventure. There are far more images available for Villa Gorilla, but these are the ones we felt would be most useful to you. If you have specific requests, please do contact us!